Looking for fun school holiday activities for kids in Adelaide? Visit the Toy Factory and the Big Rocking Horse in Gumeracha - less than one hour’s drive from Adelaide. 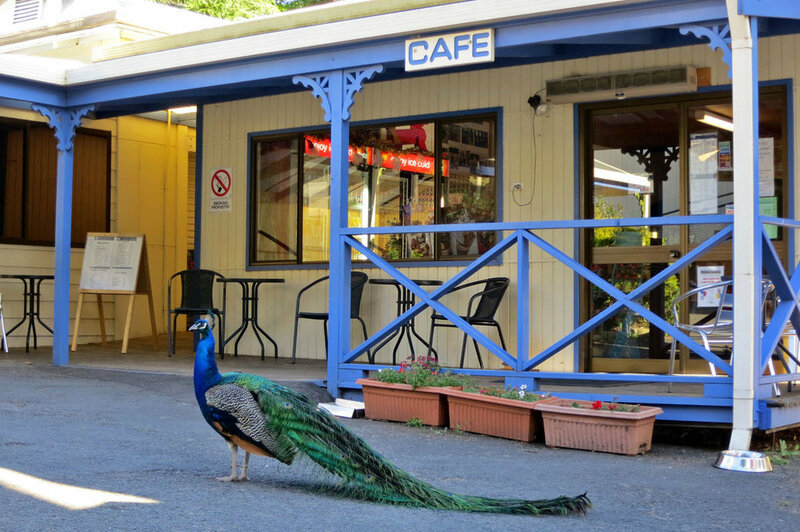 Children can see animals, hand made wooden toys, farm and native animals, climb the Big Rocking Horse, visit the cafe for a well priced meal and coffee. A big treat for families with kids in the school holidays. Looking for a Unique & Affordable School Holiday of fun for kids near Adelaide? When you want to experience something new and unique, try The Big Rocking Horse and The Toy Factory. Located less than an hour by car from Adelaide in beautiful and peaceful Gumeracha. A great school holiday experience. There is ample car parking and no entry fee. You only need your pocket change for main attractions. We guarantee you'll love our animals including native Australian wildlife and other inquisitive animals for you to get up and close to. Great school holiday fun. Our prices are total value and if you're looking for a present for a family member or friend then The Toy Factory is more than just toys. We have Australiana, nick nacks, and lots of other gift ideas in our amazing toy factory shop. Say hello to our animals like Keith the Emu and hand feed the Kangaroos. We have farm and native animals for you to visit. Climb the Big Rocking Horse for an amazing experience, visit the cafe for a well priced meal and coffee. A big treat for families in the school holidays. Looking for fun school holiday activities in Adelaide? 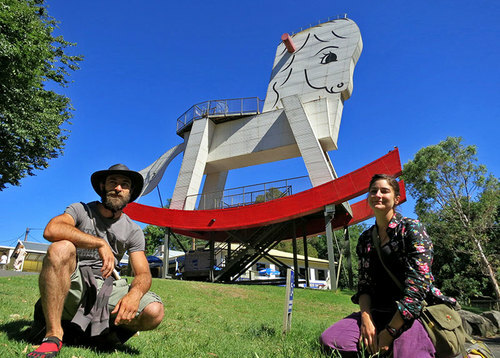 Visit the Toy Factory and the Big Rocking Horse in Gumeracha - less than one hour’s drive from Adelaide. This is a great priced day out for you and the kids! If you're looking for a present for a family member or friend then The Toy Factory is more than just toys. 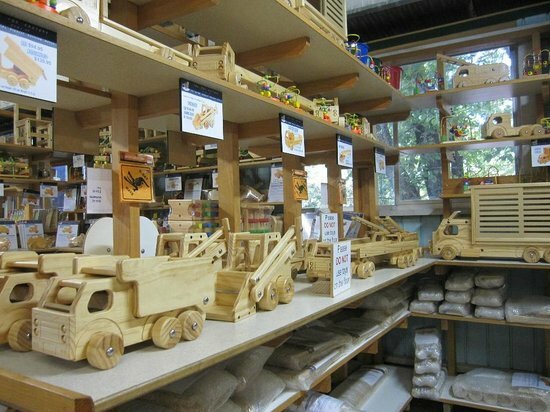 We have Australiana, nick nacks, and lots of other gift ideas in our amazing toy factory shop. Open 9 am to 5 pm 7 days a week, including Public Holidays.